European VirtoCommerce Hosting - UK :: How to Install VirtoCommerce with Plesk Control Panel? In today tutorial, we will share how to install VirtoCommerce in our windows shared hosting environment. 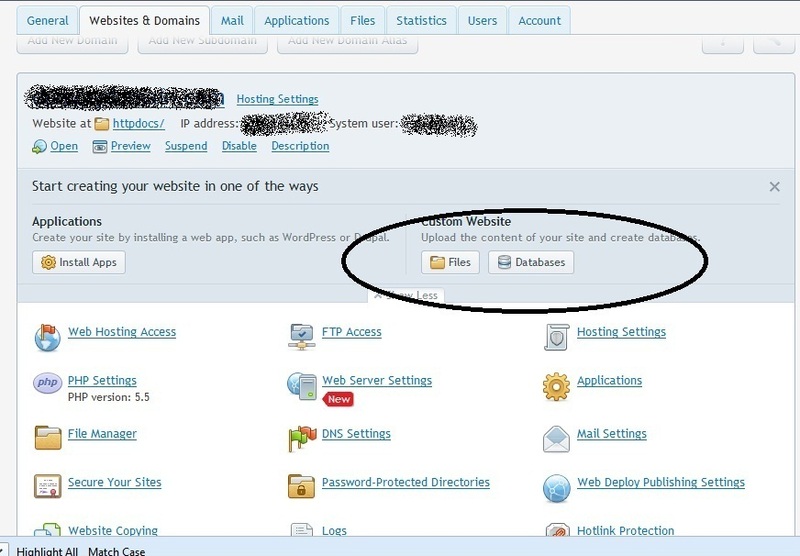 In this article, we also use Plesk Control Panel to manage the database. Our assumption here, that you have configured the latest ASP.NET on your server and configure your Control Panel correctly. Ok, let’s begin the installation. Please make sure that you create the database via your Control Panel. We use Plesk Control Panel here. Please make sure you create MSSQL database via your Control Panel as VirtoCommerce requires MSSQL database. Opps… When you click Finish Setup, we got issue on the database. 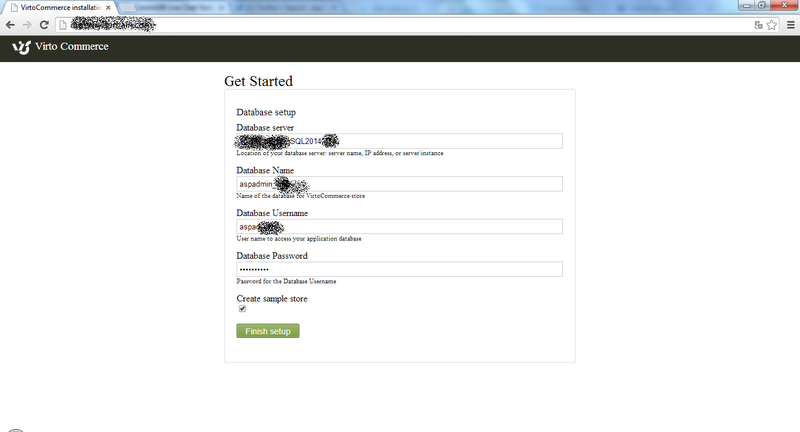 Please make sure that your db user have the full permission to alter the database. Please tick db_owner, it will fix your problem. 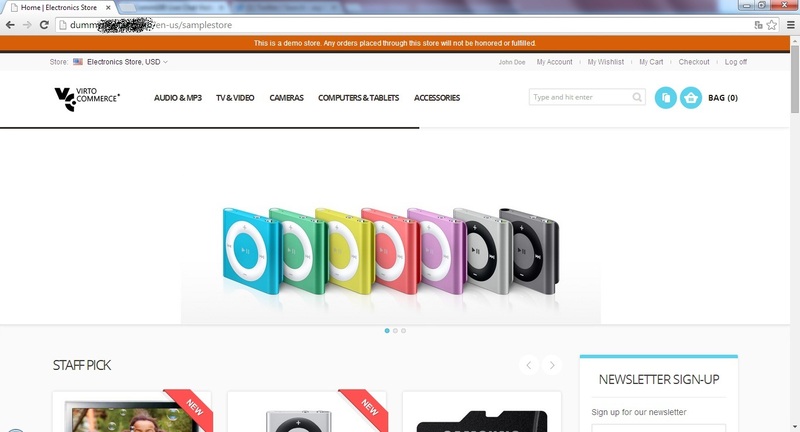 Well done, now you can browse your VirtoCommerce site. It is easy, right? If you need VirtoCommerce hosting, no need to look further as our hosting environment support the latest VirtoCommerce hosting. You can always start from as low as €3.00/month to get this application installed on your site. What are you waiting for? This article will guide you how to solve timeout error in MSSQL Reporting Service. This error happened in SSRS 2008 R2 you may got error such System.Web.HttpException:Maximum request length Exceeded, so in this article I will show you the steps to solved this kind of error. This error caused by exist a property MaxRequestLength under the httpRuntime elementin the file web.config (ssrs folder\Reporting Services\ReportServer) its default value is 4096 Kb only 4Mb) it makes reporting services cannot upload a report successfully while the report size is higher than this value. By default, the property maxRequestLength doesn’t exist in the config file and the default value is 4096 KB so you have to increase that value. In example above I am increasing the value to 16384 KB. To easily making report, we need a list of users and the most recent widget each user has created. We have a users table and a widgets table, and each user has many widgets. users.id is the primary key on users, and widgets.user_id is the corresponding foreign key in widgets. To solve this problem, we need to join only the first row. There are several ways to do this. Here are a few different techniques and when to use them. Notice the where widgets.user_id = users.id clause in the subquery. It queries the widgets table once for each user row and selects that user's most recent widget row. It's very efficient if user_id is indexed and there are few users. Correlated subqueries break down when the foreign key isn't indexed, because each subquery will require a full table scan. This new subquery returns a list of the most recent widgets, one for each user. We then join it to the users table to get our list. We've used Postgres' DISTINCT ON syntax to easily query for only one widget peruser_id. We start by selecting the list of IDs repreenting the most recent widget per user. Then we filter the main widgets table to those IDs. This gets us the same result as DISTINCT ON since sorting by id and created_at happen to be equivalent. specifies a sub-table, called a window, per user_id, and sorts those windows by created_at desc.row_number() returns a row's position within its window. Thus the first widget for each user_id will have row_number 1. In the outer subquery, we select only the rows with a row_number of 1. With a similar query, you could get the 2nd or 3rd or 10th rows instead. European BlogEngine.NET Hosting - UK :: How to Create Responsive BlogEngine.NET Theme? Well.. Our blog is also use BlogEngine.NET. We have used this CMS for long time. In this article, we will share short tutorial how to make your BlogEngine.NET site optimized perfectly and improve your google SEO score. I've never created a blog theme before, for any engine, but BlogEngine.NET has a handy tutorial that walks you through the necessary steps. I had to refer to some of the stock themes occasionally for clarification, but most of what I needed was in the tutorial - if you've done any ASP.NET development before you won't have any problems. - Master page (site.master) - This is the master page applied to every blog page. Use this to define your basic layout, etc. - Post View (PostView.ascx) - This defines the user control for displaying a single post. - Comment View (CommentView.ascx) - The user control for displaying comments. - Your own CSS to style the elements created above. Make sure you include that mobile-specific meta if you want your responsiveness to work on mobiles. Html5shim makes your HTML5 elements work in older versions of IE. Now, you can see that your site has optimized for mobile phone. Your site scales perfectly down to small, phone-size screens. We are so happy that Microsoft has announced the SQL 2014. With this newest launch, we are so happy to introduce our SQL 2014 hosting our hosting environment. SQL Server 2014 delivers new in-memory capabilities built into the core database for OLTP and data warehousing, which complement existing in-memory data warehousing and business intelligence capabilities for a comprehensive in-memory database solution. In addition to in-memory, there are new capabilities to improve the performance and scalability for your mission critical applications. Enhanced In-Memory ColumnStore for Data Warehousing – now updatable with even faster query speeds and with greater data compression for more real-time analytics support. New buffer pool extension support to non-volatile memory such as solid state drives (SSDs) – Increase performance by extending SQL Server in-memory buffer pool to SSDs for faster paging. Enhanced AlwaysOn – Built upon the significant capabilities introduced with SQL Server 2012, delivers mission critical availability with up to 8 readable secondaries and no downtime during online indexing operations. Enhanced Resource Governance – With Resource Governor, SQL Server today helps you with scalability and predictable performance, and in SQL Server 2014, new capabilities allow you to manage IO, in addition to compute and memory to provide more predictable performance. Enhanced Separation of Duties – Achieve greater compliance with new capabilities for creating role and sub-roles. For example, a database administrator can now manage the data without seeing sensitive data or personally identifiable information. SQL Server 2014 is at the heart of our modern data platform which delivers a comprehensive BI solution that simplifies access to all data types big and small with additional solutions like HDInsight, Microsoft’s 100% Apache compatible Hadoop distribution and project code name “Data Explorer”, which simplifies access to internal or external data. New data platform capabilities like Polybase included in Microsoft Parallel Data Warehouse allows you to integrate queries across relational and non-relational data using your existing SQL Server skills. With SQL Server 2014, you can accelerate insights with our new in-memory capabilities with faster performance across workloads. You can continue to refine and manage data using Data Quality Services and Analysis Services in SQL Server and finally analyze the data and unlock insights with powerful BI tools built into Excel and SharePoint. 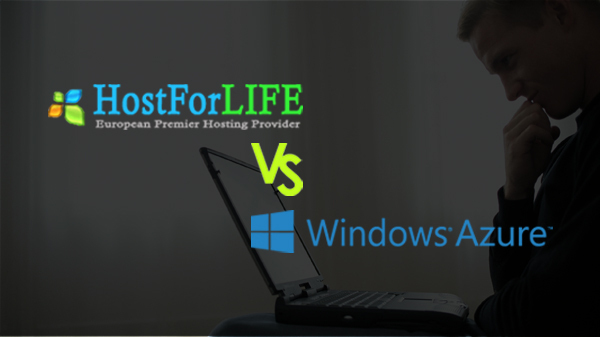 If you want to try the newest SQL 2014 as your database hosting, then you don’t need to look further as we (HostForLIFE.eu) has supported the latest SQL 2014 hosting on our hosting environment. You just need to start as low as €3.00/month to get the latest SQL 2014 hosting. Are you ready? ?